NOW available at live shows, CD Baby, iTunes, Amazon & Many more! 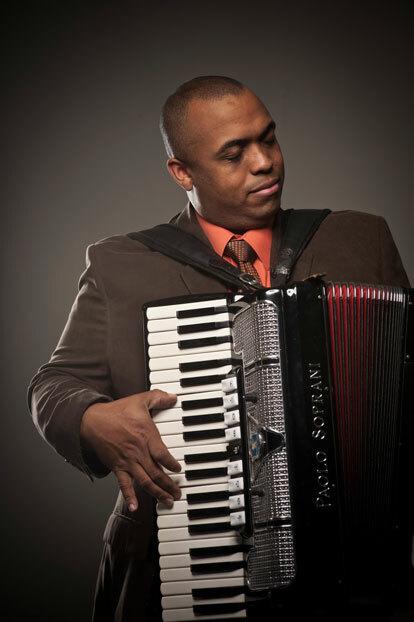 Corey Ledet was born and raised in Houston, Texas, but spent his summers with family in small-town Parks, Louisiana. The Creole culture has its roots in Louisiana, but spread across the country, including neighboring Texas. Because of this, he was able to be immersed at all times in the Creole culture he loved so much. The summers in the family home molded and shaped Corey’s world in a profound way. He also appreciates the other traditional sound indigenous to Louisiana in Cajun music and has been able to expand his repertoire to include these influences as well. Corey’s versatile sound enables him to please any audience. Whether he is playing a solo acoustical set or he is backed up by a full band, you as a listener will always be thoroughly entertained. He finds joy in giving his listeners a true dance/music experience in the ways of old-time house parties. So, come and enjoy the music of old presented in a new way but still very tied to tradition. He looks forward to entertaining you!